March 20, 2019, 5:00 p.m.
Democrats tend to like former Vice President Joe Biden – and more feel positively toward him than any of the other announced Democratic presidential contenders. Even more distinctive about Biden in the latest Economist/YouGov Poll is that he is the sole Democratic contender whose overall favorability ratings are positive. Vermont Senator Bernie Sanders, who lost the 2016 Democratic presidential nomination to Hillary Clinton, is the key comparison since he is as well-known as Biden. Ratings for Biden are better than ratings for Sanders for Democrats and Republicans. Independents rate the two men similarly. The views of people who say they intend to vote in the 2020 Democratic primaries and caucuses are much like the opinions of all Democrats when it comes to Sanders and Biden. Biden fares mildly better than Sanders does with women, and there is little difference between male and female opinions of Sanders. If elected, each of these men would become the oldest President ever. Older Democrats have slightly more confidence in Biden than Sanders: nearly 90% of Democrats 45 years old and older have a favorable opinion of the former vice president. Sanders lost badly among African-Americans voters in 2016, but black Democrats in the latest Economist / YouGov poll like him. By 74% to 16%, they have a favorable rating of Sanders. But their rating of Biden is even better: 83% are favorable and just 8% are not. More than half of Democrats in this poll (57%) describe themselves as liberals. It is a group that Sanders did well with in 2016. But in this poll just as many liberal Democrats like Biden (81%) as like Sanders (80%). There are several other Democrats who are well-known and well-liked within their party, which often is not the case this early in the primary season. 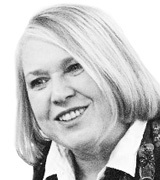 Most of the well-known candidates are sitting Senators. 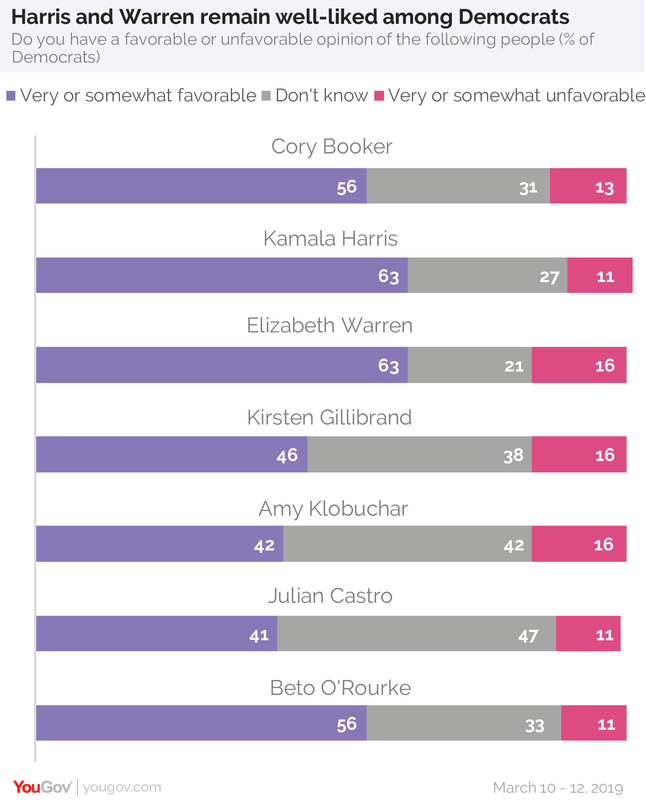 More than two-thirds of Democrats have opinions about announced Senator candidates Cory Booker (New Jersey), Kamala Harris (California), and Elizabeth Warren (Massachusetts). More than half hold opinions about Senators Kirsten Gillibrand (New York) and Amy Klobuchar (Minnesota) and former Secretary of Housing and Urban Development Julian Castro. Former Texas Congressman and defeated Senate candidate Beto O’Rourke is known to as many Democrats as Cory Booker and is just as well-liked. 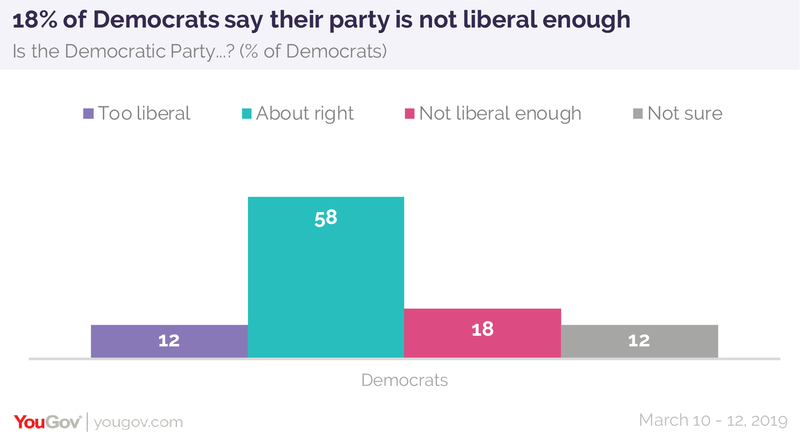 O’Rourke is especially popular with liberals in the party (68% are favorable and just 6% are not). But so are many of the other Democrats. Looking ahead to November, there is no question at the moment what registered Democrats will do. They don’t like President Trump and as of today, 91% of them will vote for the Democrat whomever that is. Just 4% would vote for the incumbent. 88% of registered Republicans say they will stick with the President. 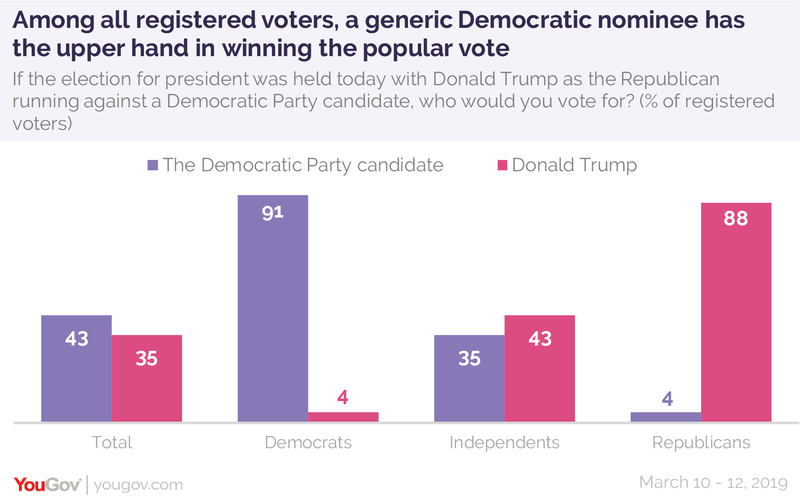 Among all registered voters, the Democratic nominee would have the upper hand in securing the popular vote. One in five independents says they don’t know how they will vote, or say they will not vote at all. While Republicans will vote for President Trump in 2020, and like him more than Democrats like any of their current candidates (89% of Republicans have a favorable opinion of the President, while only 10% are unfavorable), there are more of them who express dissatisfaction with their political party. 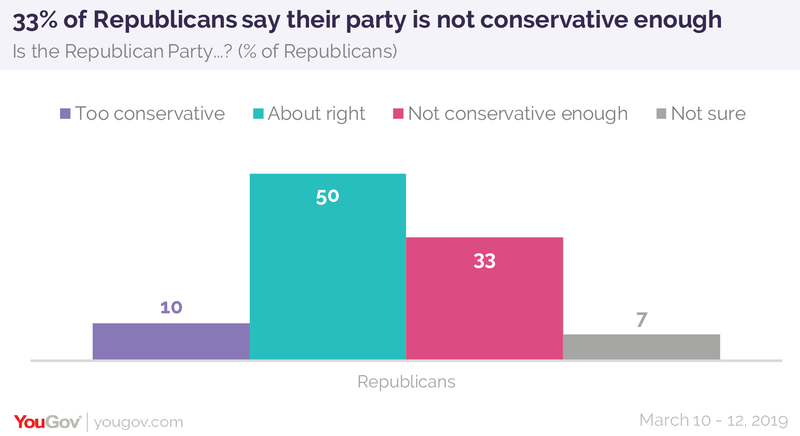 One in three Republicans believes their party is “not conservative enough,” almost twice the percentage of Democrats who think their party is not liberal enough. Two-thirds of Republicans who describe themselves as “very conservative” say the party should be more conservative; less than half of “very liberal” Democrats think their party needs to move even more to the left. See full toplines and tables results here.